Hundreds of Bundeswehr weapons systems are not operational because of inadequate military planning, the German newspaper Die Zeit reports. According to the Bundeswehr general inspector's annual report on the operational readiness of the armed forces' most important military equipment, many systems are defective and awaiting repair. However, the army is unable to carry out the necessary repairs because it doesn't have the personnel capable of repairing them, or the armed forces have failed to order the necessary spare parts. All aspects of the armed forces are affected by the shortage, from army helicopters to submarines. 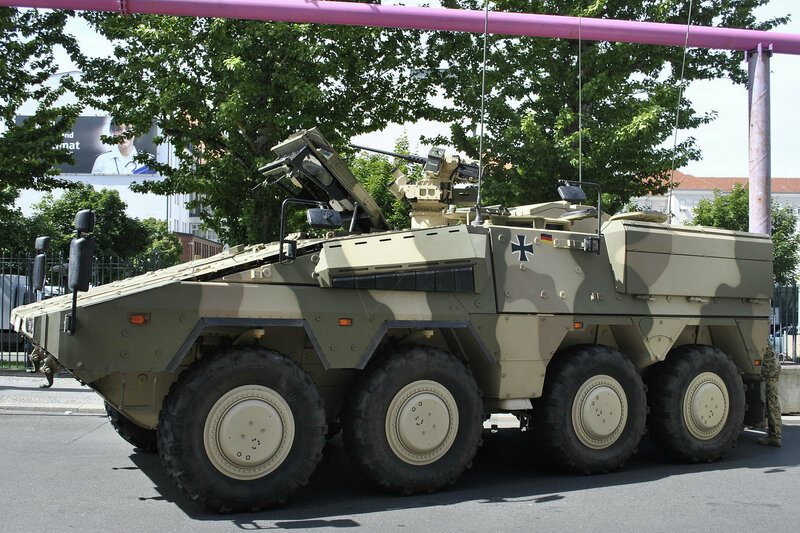 Just 102 out of the German army's 142 Boxer multirole armored fighting vehicles are in working order. Less than half of the army's 48 Puma infantry fighting vehicles are operational. The army fares somewhat better with its Leopard 2 main battle tanks: 132 out of 167 of them are operational. The army's firepower has declined since 2014, when all 232 of its tanks were operational. The army also has less of its Panzerhaubitze 2000 self-propelled howitzers than it did three years ago. Currently, just 41 out of 61 are completely operational, compared to 76 out of 76 in 2014. The German air force and navy are in similarly dire straits. Just 28 of the Luftwaffe's 74 Tornado multirole combat aircraft and 41 of its 79 Eurofighters are in working order. Four of the country's ten Patriot surface-to-air missile systems are not in working order and only two out of four Type 212 class submarines are operational. Although the Bundeswehr has increased its spending on repairs to 3.2 billion euros ($3.4 billion) this year, many weapons are left lying around because they break down more often than anticipated and repairs take too long. In an attempt to save money, the German Defense Ministry often orders new equipment without establishing adequate repair facilities, the general inspector's report says. In other cases, the weapons are so old that it is impossible to find the parts to repair them. In the case of the Sea King helicopter, just 4 out of 14 of which are in working order, the navy can only repair them with "unconventional spare parts," which it gets hold of by buying decommissioned aircraft from overseas and taking them apart. While the Bundeswehr is making efforts to improve the situation, "great improvements in material operational readiness are not to be expected," the general inspector remarks.